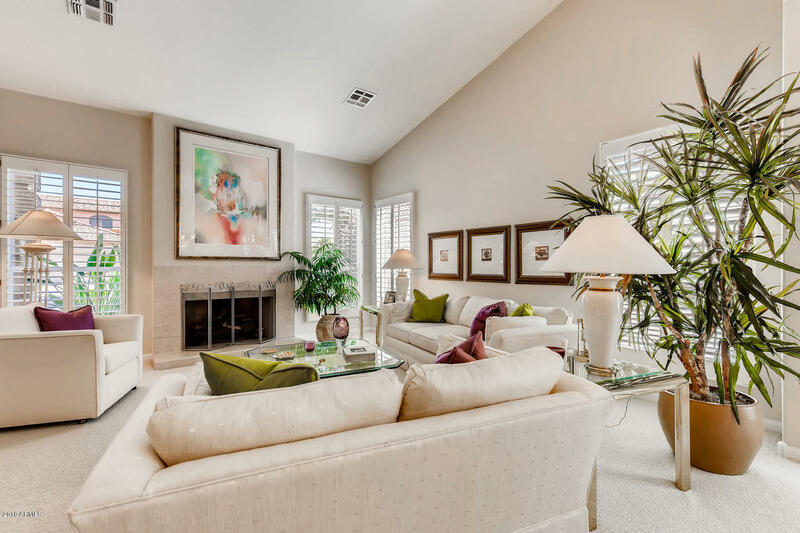 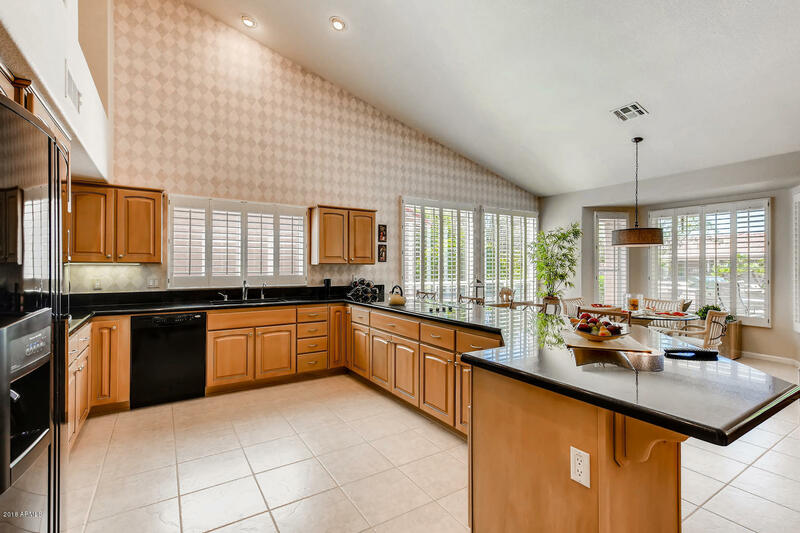 Stunning and sleek Borgata model in desirable Sun Lakes Oakwood Community! 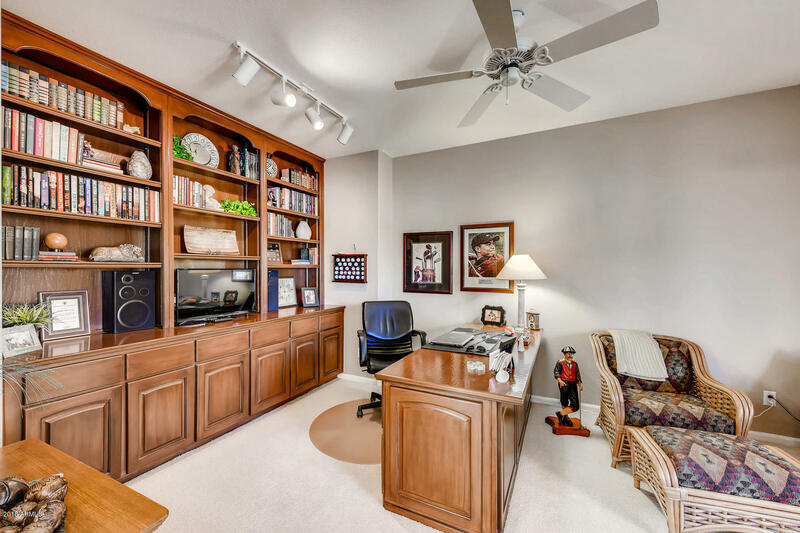 This beautiful 2 bedroom/2.5 bathroom home features a formal living and dining room with gas fireplace, spacious office/den with built in bookcases, a large updated eat-in kitchen with black granite countertops, breakfast bar and desk area. 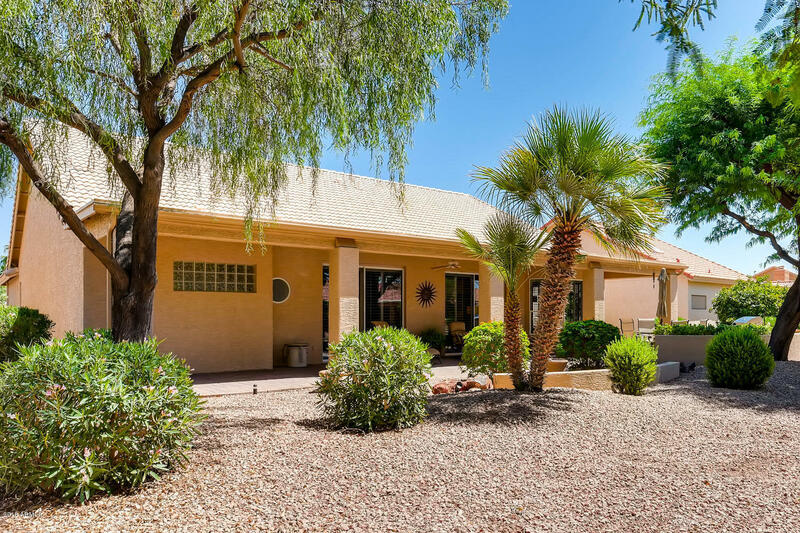 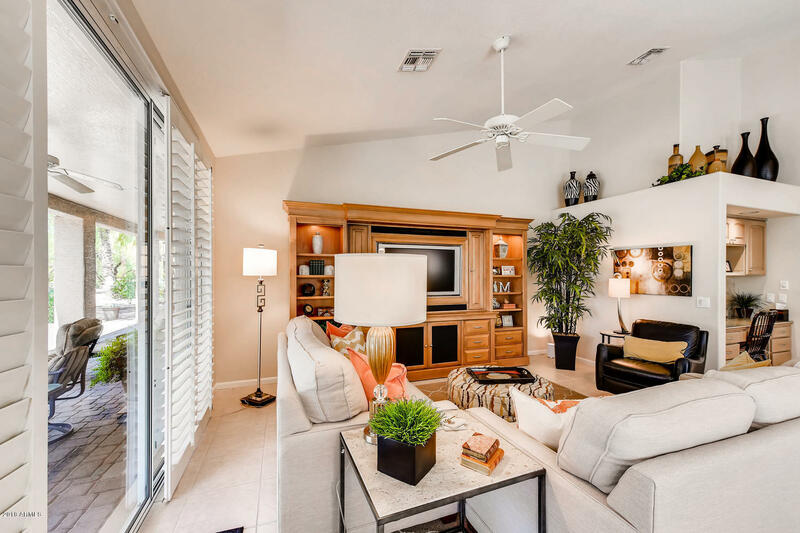 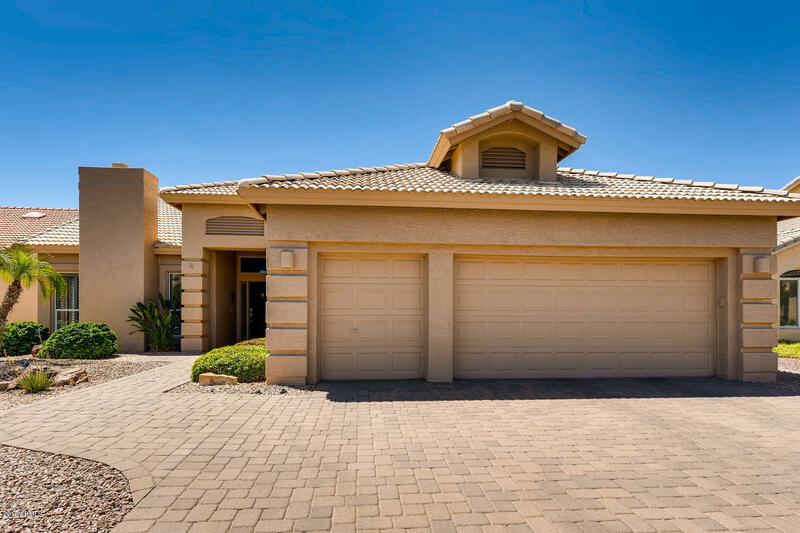 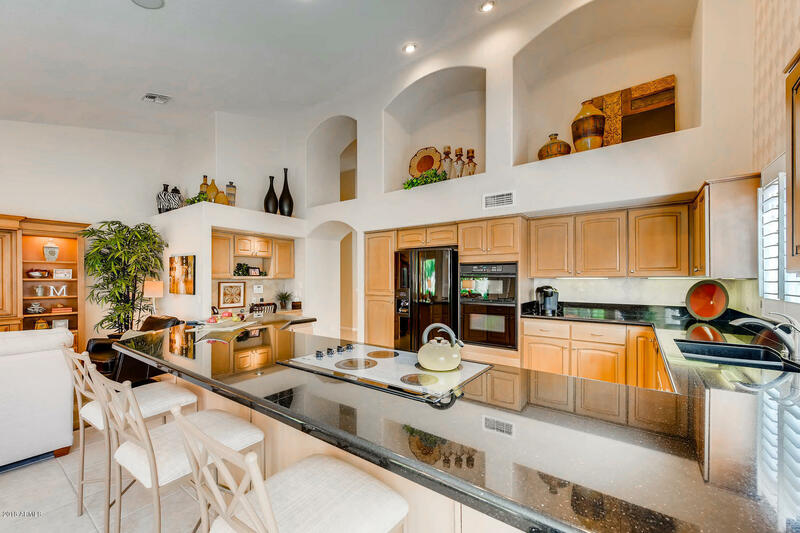 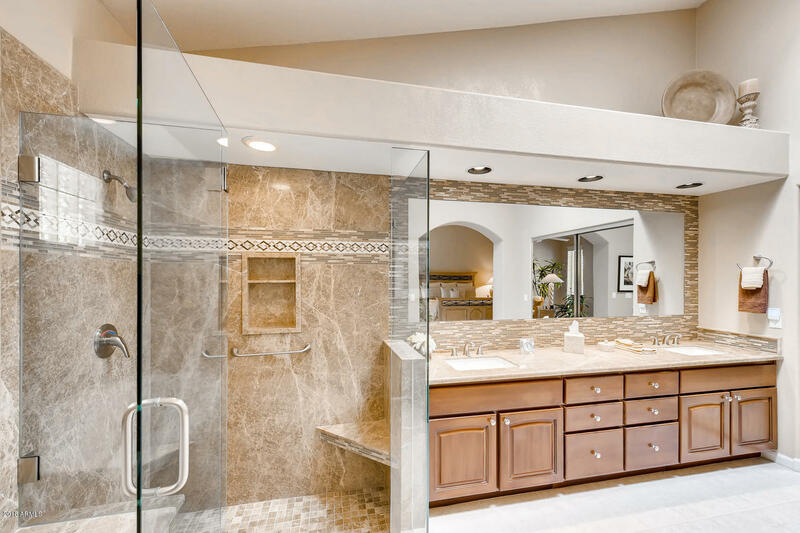 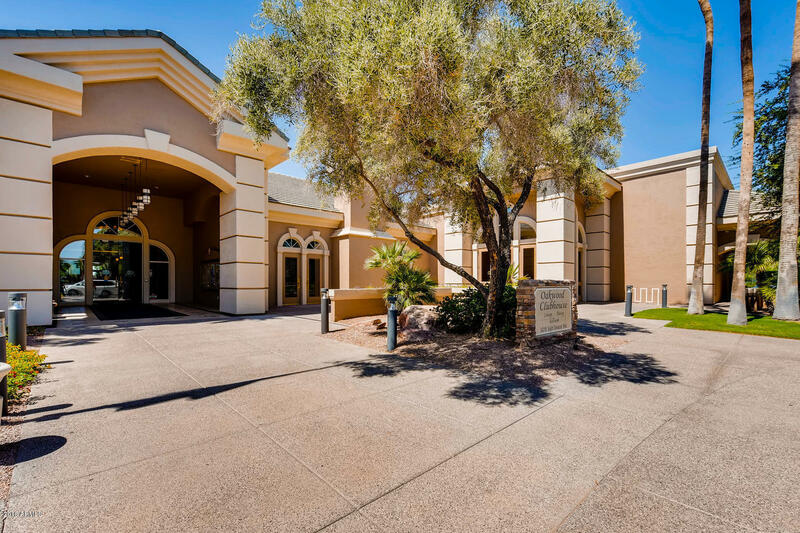 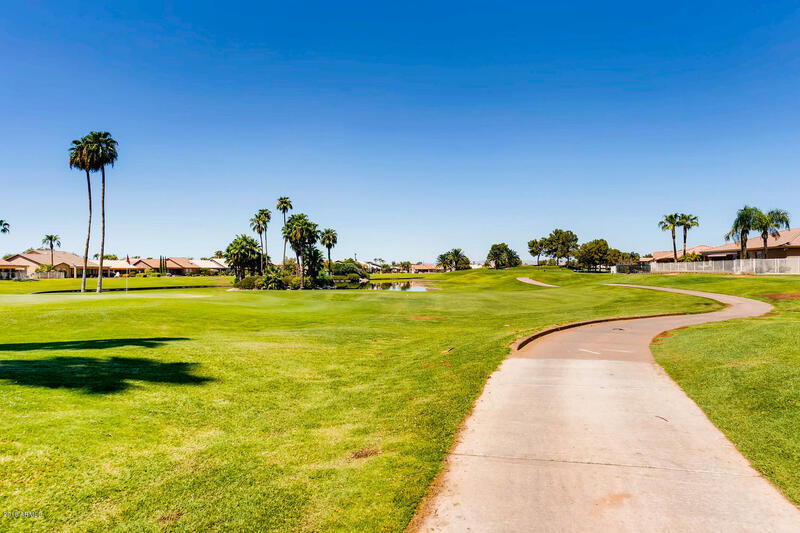 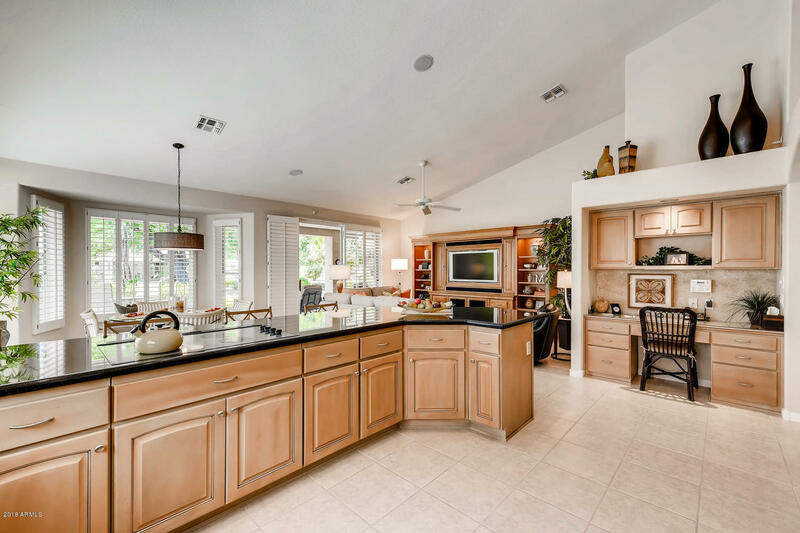 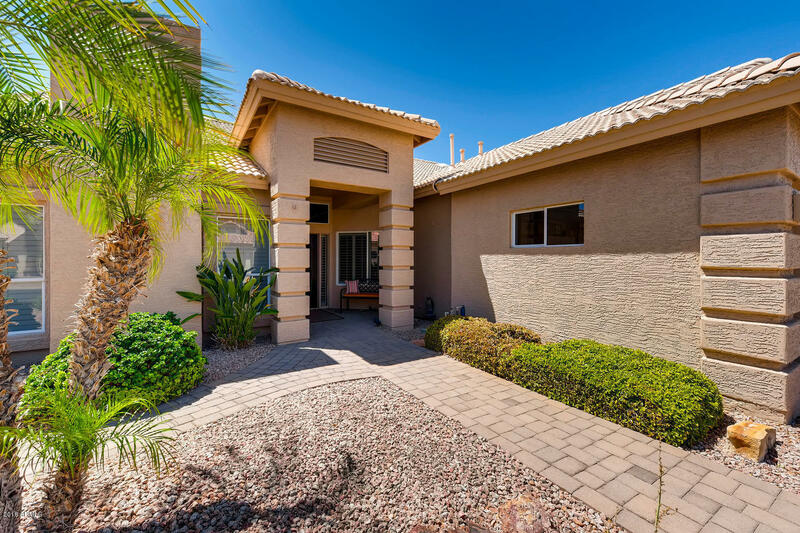 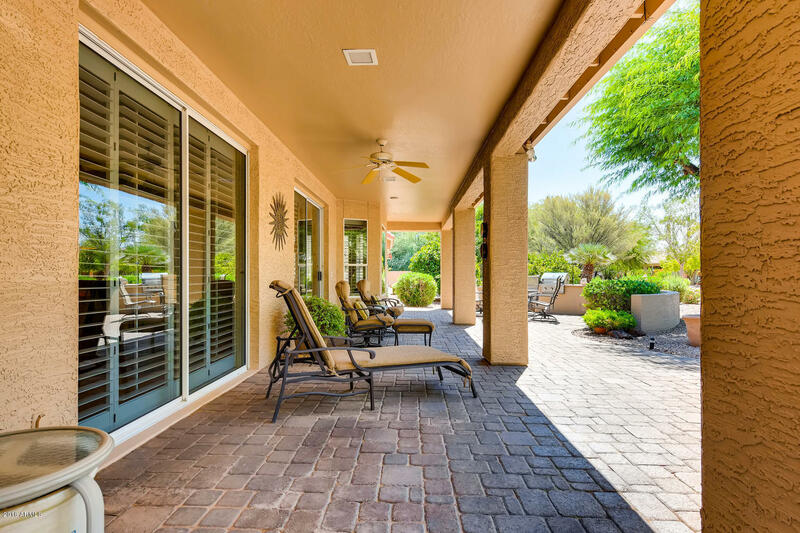 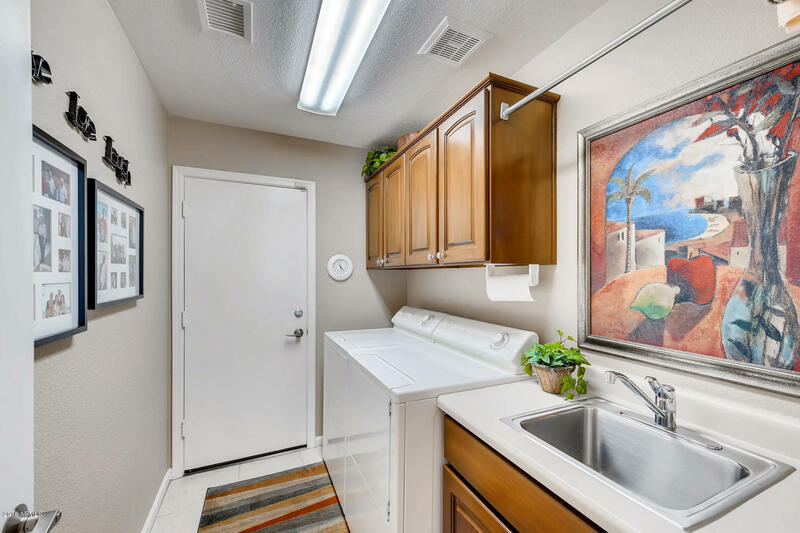 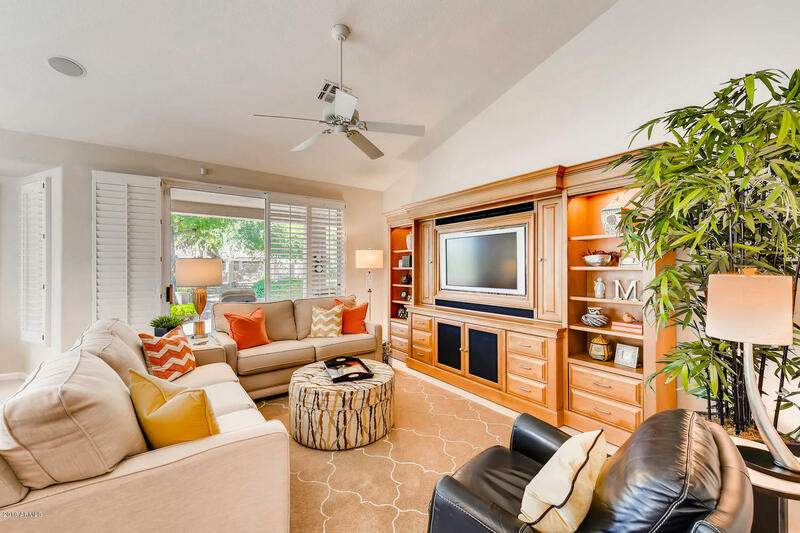 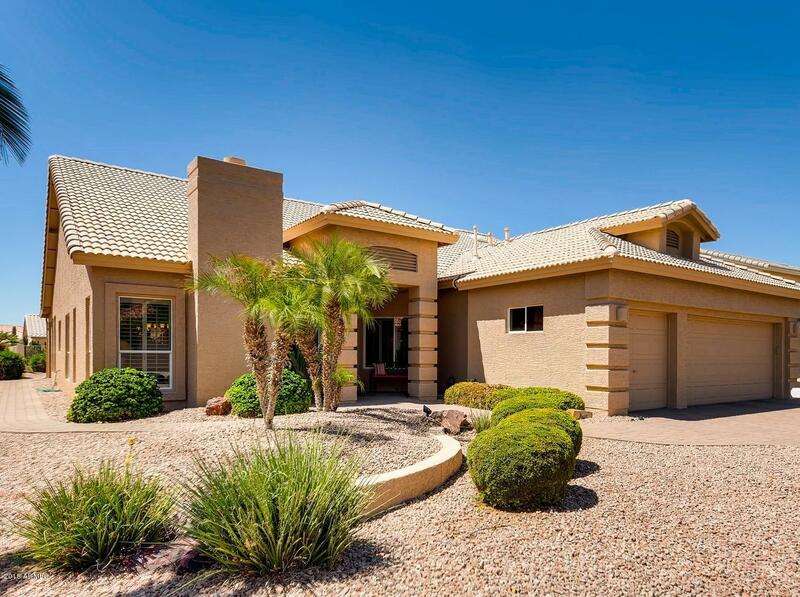 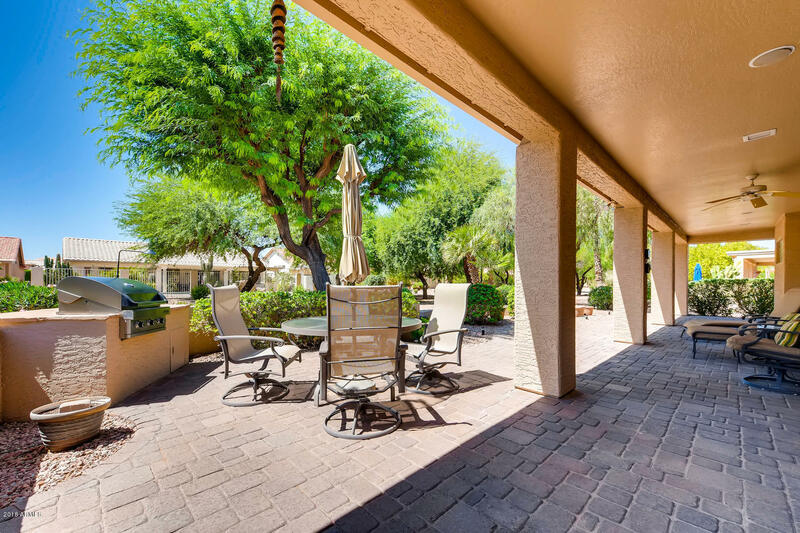 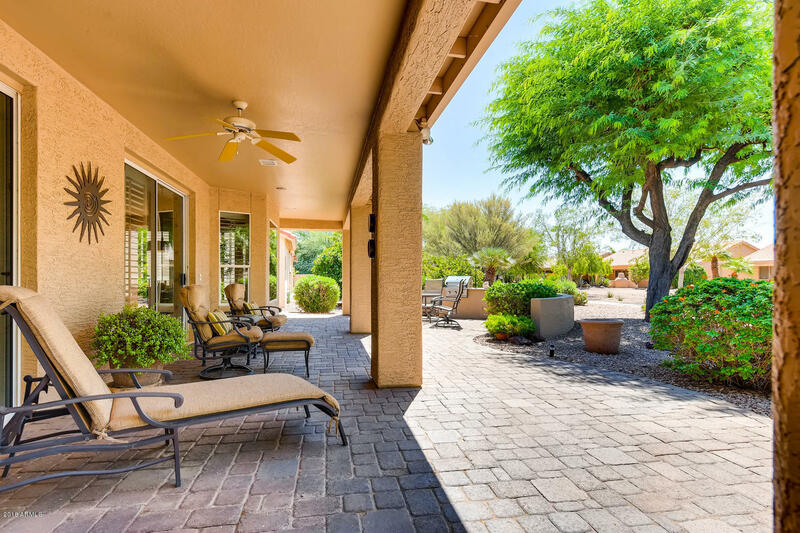 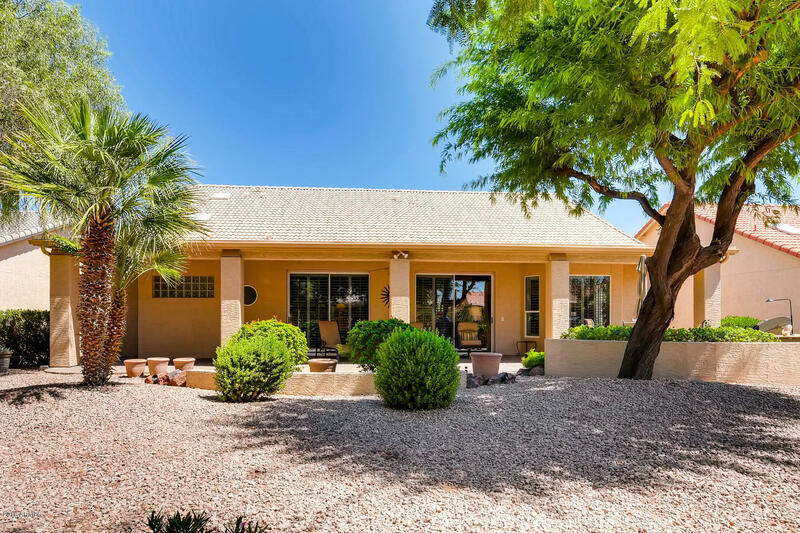 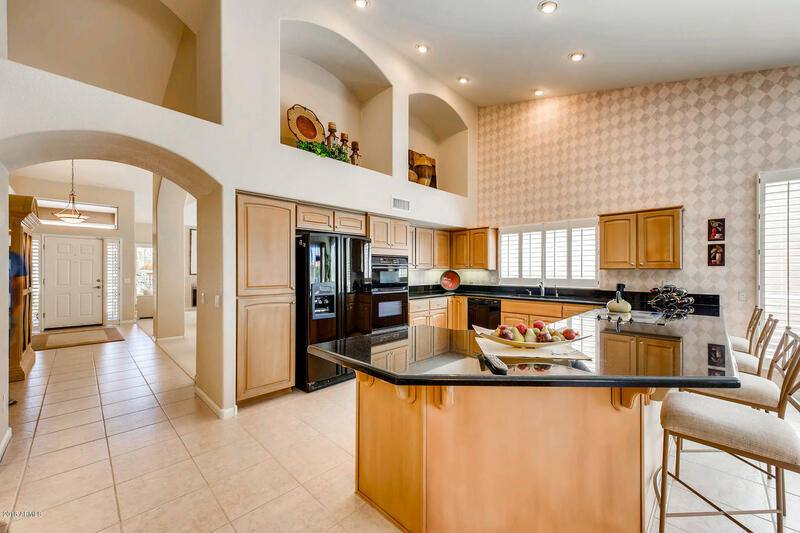 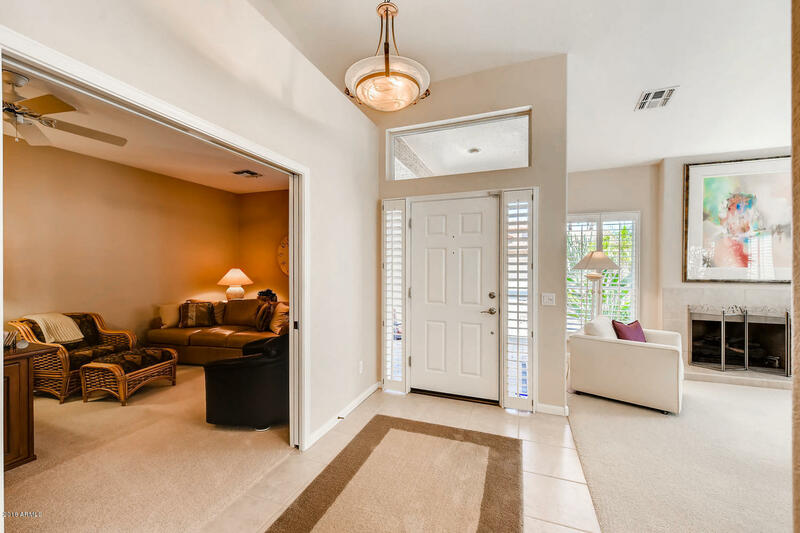 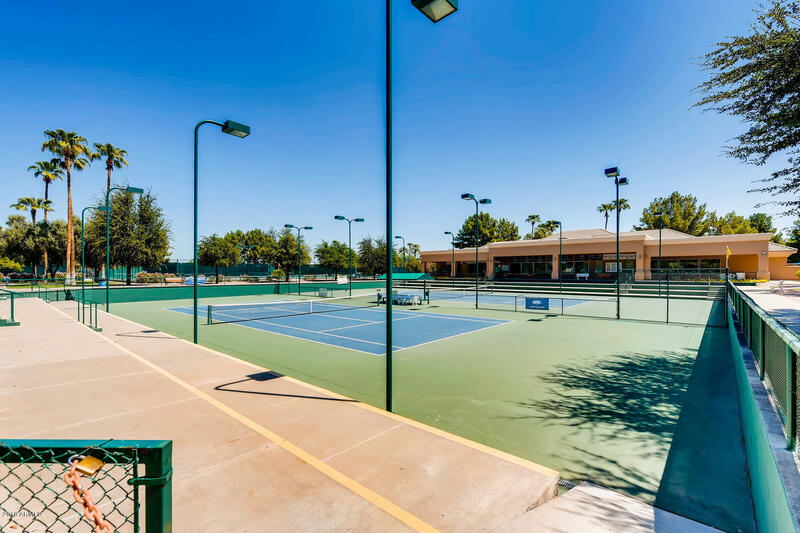 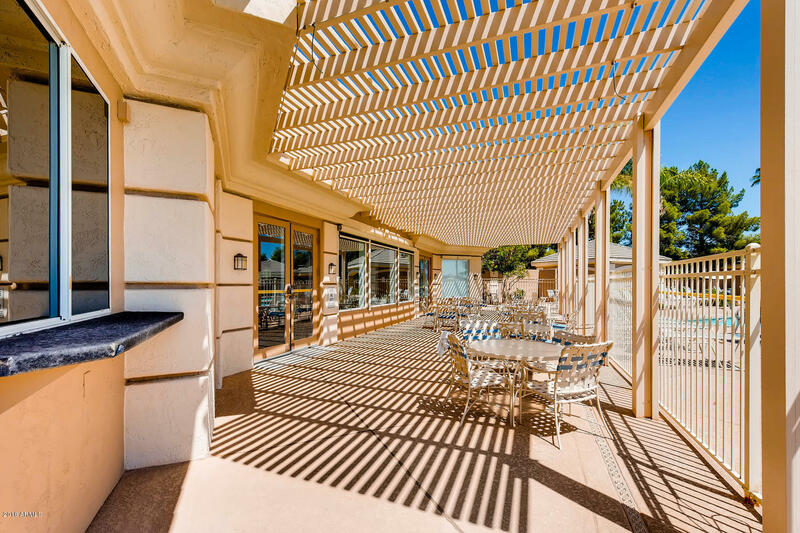 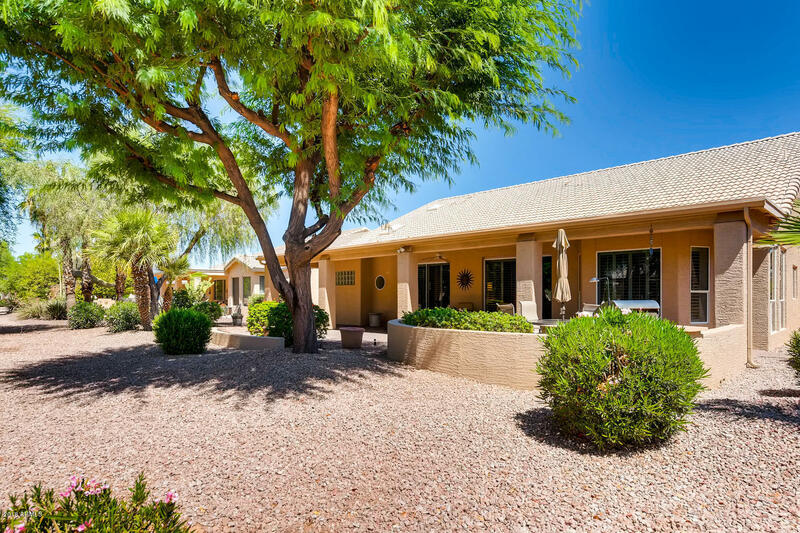 Your open concept kitchen and family room areas are complimented by a wall of windows and a large sliding glass door that leads to an extended covered paver patio with built-in barbecue. 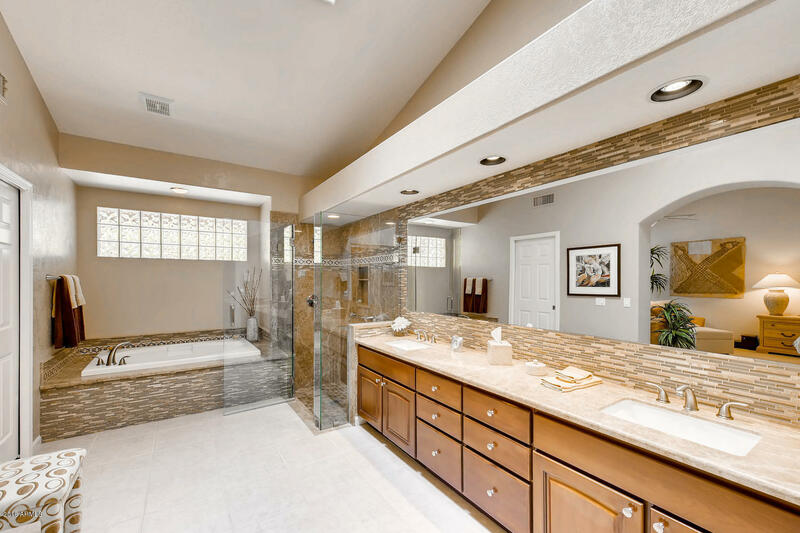 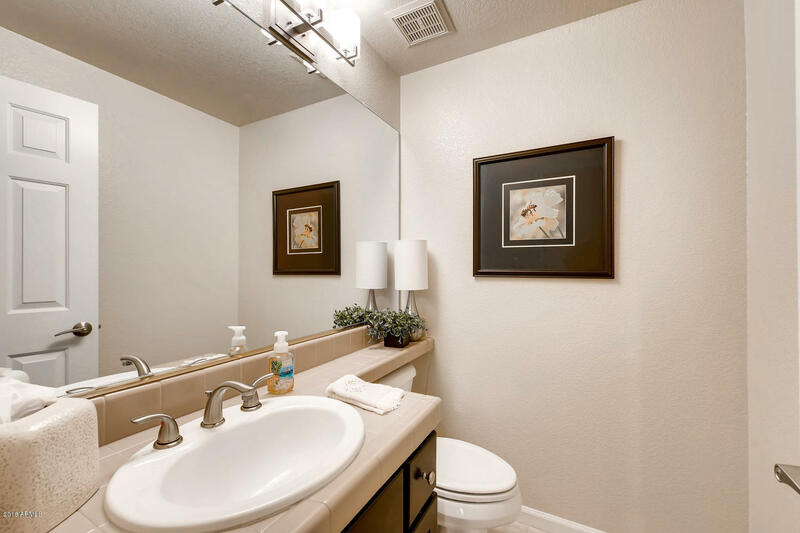 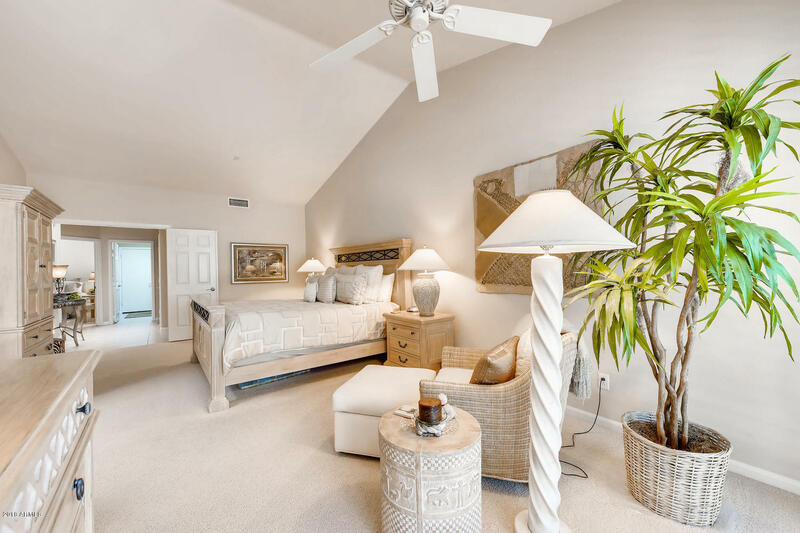 Enjoy the luxury of retreating to the updated master suite with sitting area, separate shower/tub, dual sinks and large walk-in closet. 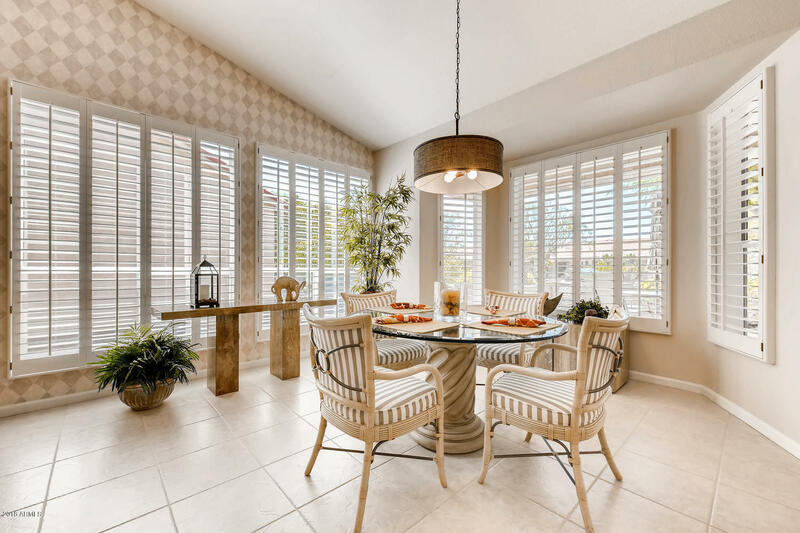 This home features only fine finishes and exquisite upgrades like custom wood shutters throughout. 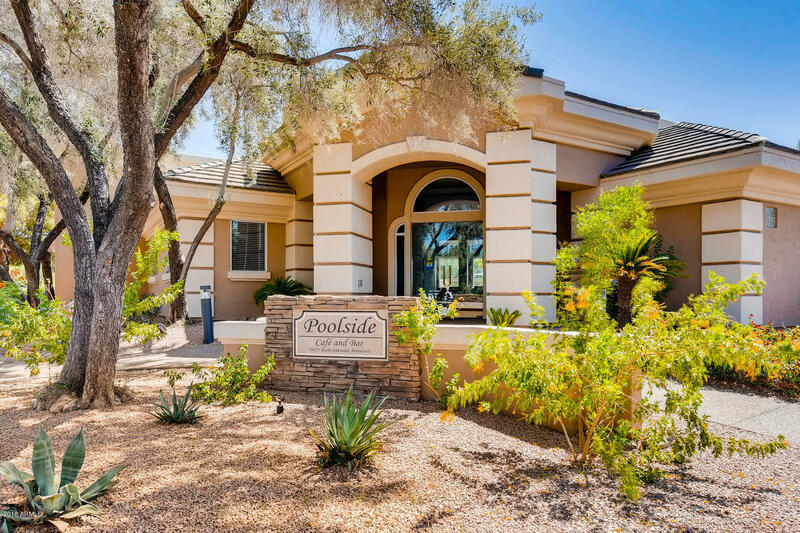 Please read supplemental comments for additional description.